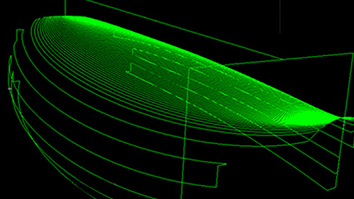 Xhapeland was purposely designed and built to keep up with the evolution of the board manufacturing industry. 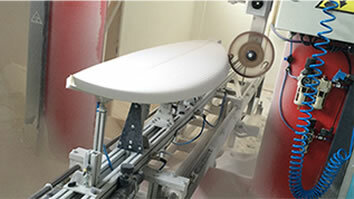 By adopting the industry's best practices in materials and techniques, we are able to build and deliver boards and board construction services to global top manufacturers, local shapers, surfshops or corporate clients looking for boards with their logo on. We deliver a high-end quality product allowing global brands to locally produce and expand to the European Market. The extensive experience of our team, aligned with the finest materials and modern machinery, allow us to take on equally large and small orders, offering a wide range of construction services for any type of board. We offer complete board building services for internacional brands, local or travelling shapers, surfshops and companies looking for boards with their logo on it. By using the finest imported materials and applying the best production techniques, our experienced team delivers a high-end product built in conformity to each brand specifications and standards. 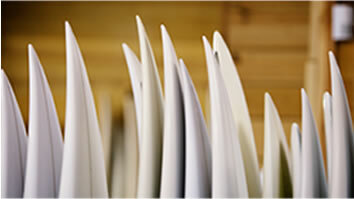 We offer board designing services (Cad Files) to local shapers, surfshops, private or corporate customers. The designing can be ordered standalone or together with other board construction services. With an Aku Shaper Machine on site, we provide leading edge blank cutting services for any type of surf, kitesurf, SUP or wakesurf boards. We own, maintain and operate the machine in-house and offer cutting services using Surfcad files created internally or provided by our customers. Making use of the finest fiber cloths and resins available in the market, our team can glass any type of board complying with the highest quality standards. 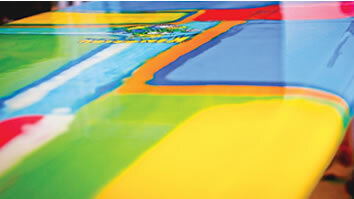 We offer a full glassing service ensuring an outstanding final product with superior performance and durability. 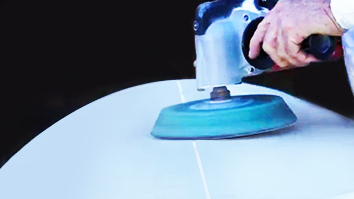 Our modern facilities are equipped with several climate and dust controlled working rooms allowing us to offer a full finishing service from basic dry and wet sanding, to a gloss and polish fine finishing in retro or longboards. Our resident artist can deliver several board decorative techniques from airbrushing (foam painting) to over painting (after glassing), as inlay graphics solutions.